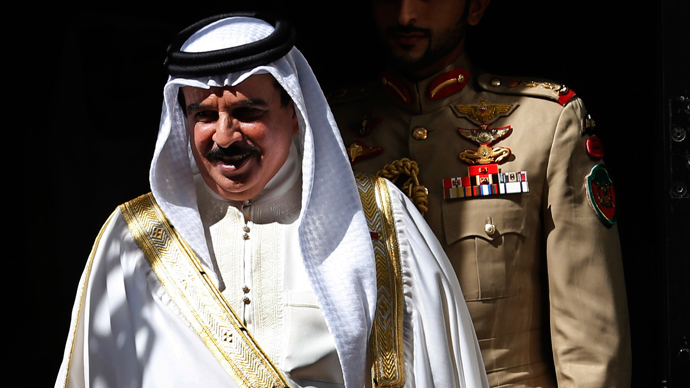 Offending King Hamad can now result in up to seven years in prison, Bahrain announced Tuesday. The news comes just days before the third anniversary of the Shiite-led, Arab Spring-inspired protests against the kingdom’s Sunni monarchy. Bahrain amended its 1976 penal code to carry a minimum one-year and maximum seven-year sentence, including a fine of up to US$26,000, for "publicly offending the king of Bahrain, its national flag or emblem,” state news agency BNA reported. The prison sentence could rise above seven years if the “offense was committed in the presence of the king," BNA added. Prior to the law change, the same charges against the monarchy carried a minimum sentence of a few days. 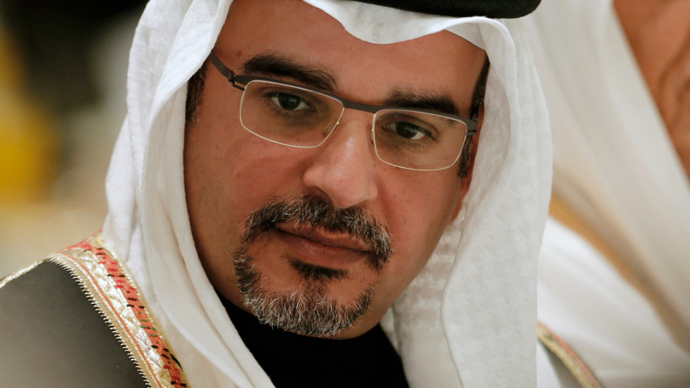 Bahrain convicted and jailed two activists for one and four months, respectively, in 2012 for Twitter comments that supposedly insulted King Hamad bin Isa Al-Khalifa. Social media comments are included in the new edict. Rodney Shakespeare, chair of the Committee against Torture in Bahrain, told RT that the tightened restrictions on dissent show a kingdom in its final throes. 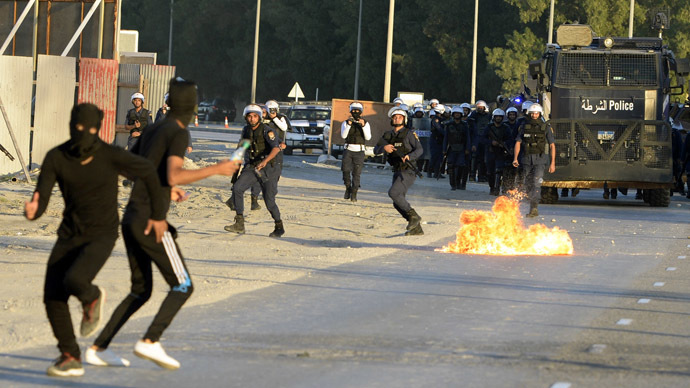 Also on Tuesday, a criminal court in the capital of Manama sentenced 23 Shiites to five years in jail for taking part in unlicensed protests and alleged attacks with petrol bombs, AFP reported. Another Shiite received three years in jail. 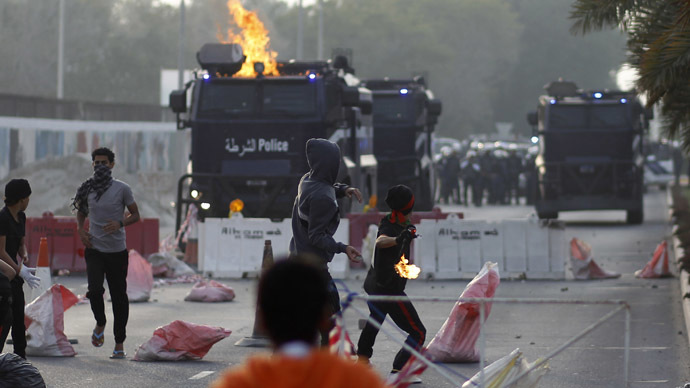 In mid-February 2011, a popular Bahraini uprising was eventually quashed one month later by a brutal crackdown by the monarchy’s security forces. In addition, Saudi-led forces assisted in suppressing protests in an effort to support the Al-Khalifa kingdom. Protesters continue to fight with security forces in Shiite areas around Manama. At least 89 people have been killed since demonstrations began against the US-supported Al-Khalifa monarchy, according to the International Federation for Human Rights. Shakespeare told RT that the new offense laws will harden resistance rather than deter further dissidence.